Video streaming numbers reported by Nielsen on Facebook have been devastated after a change in the way they are measured in the wake of the misreporting scandal last year, with streams plummeting 94%, Nielsen NetRating figures obtained by Mumbrella reveal. Last year the digital industry was rocked by the admission by Facebook that it had vastly overestimated its video views based on people watching as little as three seconds of a stream. Separately, Facebook had also change the way it delivered videos to audiences. As a result Nielsen was forced to review the way it measured Facebook streams after Facebook changed the way they were delivered from a single stream to delivering in packets to improve user experience, with Nielsen counting each segment delivered as a separate video stream. The revelations prompted Nielsen to revisit the way in which it measured video streams on Facebook. Early reports suggested the over-reporting could be by as much as 80% and in October Nielsen changed the measurement method. However, the revelations that Australian video streams had dropped by 94% over the course of a single month are far worse than many predicted. The numbers raise the possibility that the widespread belief that Facebook had overtaken YouTube as the video platform of choice may never have been correct. The overestimation of streaming on Facebook, which had previously counted streams of three seconds or longer resulted in the changes by Nielsen that now measure video streams of all lengths. Nielsen measured Facebook streams of 8.6b in July last year, 12.506b in August and 9.94b in September. But in the months after the change, the numbers have plunged to just 560m in October and November and 580m in December. The drop in total streams due to the change came despite the fact the unique audience for Facebook remained constant throughout the same period with an average of 6b. Nielsen rejected a request from Mumbrella for the total Facebook streams from the months of July-December 2016 rejected the request and supplied only the numbers from October. Media buying agencies appear to have reacted immediately to the changes in Facebook’s numbers, with data from Standard Media Index (SMI) revealing spending targeted specifically at video on Facebook dropped 32.4% in the past three months of 2016 compared with the same period in 2015, while spending on YouTube grew 11.9% during the same period. By comparison, video spending for the previous three month period had risen by 30% for Facebook. Measurement of total YouTube streams by Nielsen throughout the same six month period saw streams fluctuate between 2.6b to a high of 2.8b and a low of 2.4b (desktop only) and saw a drop of 14% from October to November. The revelation that the number of streams is just a fraction of what was previously being reported is likely to accelerate calls for better measurement of data being provided by digital platforms and increased third party measurement. The new figures are also likely to turbo-charge the debate around the efficacy of online advertising at a time when traditional media platforms such as TV, print and radio are fighting a rearguard action against the likes of Google and Facebook. A spokesperson for Nielsen said “it was not appropriate” to compare the numbers. “Our engineering team created a solution that would count progressive streams as one stream per view. The solution was released on October 1, 2016,” the Nielsen spokesperson said. Facebook declined to comment on the Nielsen numbers, saying all questions should be directed to Nielsen. One industry observer analysing the figures said that while they were expecting a drop in streaming figures as a result of Nielsen’s changes to its measurement of Facebook, the results were surprising. “I knew they were wrong but I didn’t realise how wrong,” the media specialist said. In November, the Australian Association of National Advertisers warned that Facebook must guarantee independent measurement or face global action from marketers. Simon I think you’ve got your millions and your billions mixed up in the copy. Or else that Facebook vs Youtube streams graph is totally off. Thanks. A typo left over from an early draft which I have fixed. Thanks! I thought that number looked a touch low. Do I sit here alone in utter bewilderment that a story like this only has 3 comments, specifically about a typo!?! Can you imagine if any other media sector had its audience data “overestimated” to this degree? @Nothing to see here…? I totally agree. Is this not a massive story that should be full of comments, or is no one actually surprised at this? Maybe it’s because everyone who has been talking up their own video views is being found out about this, to quote Ritson “horseshit”. Perhaps, embarrassed they’ve been duped. Few comments as it’s largely going to be ignored by serious marketers who measure Facebook video activity based on actual business results, and see that it drives significant growth for businesses advertising on it. The article is a hatchet job likely based on mis-analysis of marketing metrics by people who don’t understand what they’re looking at. The fact that Nielsen even touched on this in referencing the fact that it shouldn’t be compared is an indication that this article is very misleading. Dinosaurs like Ritson fighting the reality that people’s attention is allocated more to digital and particularly mobile, meaning that there’s greater value for advertisers there than offline (along with the advanced targeting and measurement of digital platforms) will ultimately fall by the wayside, and are already irrelevant to anyone with remotely sophisticated measurement of marketing activity. Dude. It’s down 94%. Did you even read the title. Have you run placebo ad testing or some other lift study to determine the true lift when using Facebook as a video inventory source to disprove it’s merely cookie bombing and taking credit in its measureless bubble? I mean come on, less than 3 seconds out of view ads actually having a positive impact? As a person with a penchant for ‘sophisticated measurement of marketing activity’ I’d like some cold hard facts presented by yourself. @Digital marketer. It’s seems like Facebook’s hospitality at Palo Alto is paying dividends in terms of PR, just as was intended. Does this mean you get to go again next year, this time with the wife and kids in tow? Every other publisher has to now accept strict viewability and measurability metrics in order to get a mere slice of digital ad spends, yet these guys run roughshod over the industry and get away with it. Who will dare make a stand and pull their clients money until they can be 100% certain that FB numbers are accurate? No-one…But if it was ANY other publisher online, in TV or in print that is exactly what would happen. This is the ad industry equivalent of an Enron-sized event. You can’t drop this type of revision to numbers long touted and not expect media buyers and brands to want to see $ returned. Truly embarrassing. Someone’s head has to roll. Very reasonable observation, @nothing to see here. Possibilities for the deafening industry silence? 1. Is it Egg-On-Face Syndrome? With all the group think from many (not all) advisors/agencies and brand marketing teams hailing the social revolution for marketing and advertising, how do you credibly crawl out of the Facebook chicken run, eggless? No problem with industry challenging any media or tech sector (Martech, Adtech, marketing clouds, TV, radio, magazines, OOH, news media and so-on) but we hardly get that from the ad spend and marketing people around the digital revolutionaries in social/influencers etc. 2. Is it true most remain deluded and/or scared to challenge the global duopoly of Facebook and Google. If so, says something about the state of the industry, really. 3. See point 1 and 2 plus a few others still to be posted (one hopes). Given the irrepressible industry love for Facebook (and Google), someone, surely, from the buy side (social/media/creative agency or marketer) can stand-up and credibly defend FB. Or at least why these figures don’t matter? I’d really like to hear it and discuss constructively – maybe with some vigour! 4. Is the Mumbrella story simply wrong or wayward? In which case we should hear from someone about that too. 5. Must get back to the chicken run. There is no magic lantern, so I hope people start to see that the digital world is NOT it. Let’s get back to the real challenge, good creative plus good media strategy followed by tactics, using a number of media outlets to achieve the goals that were set. Simple! Pull the cash! Vive la révolution! I’m a little confused here. You keep referring to the video view duration issue from last year, but this article is all about pure video streams? Are you able to explain how Nielsen used to measure video streams and what they changed to result in it being 94%. Agreed Mitch, that seems the most obvious question to me. Are they still measuring on 3 seconds +? or has this been pushed out to a longer length? If so the results shouldn’t be too surprising to anyone who has ever compared the numbers on 3 seconds views and 100% completed views. Usually the latter is only 3-5% of the total streams. Could you please clarify how Nielsen are now reporting a stream (view)? Is it a % of video view or more seconds? Or is this a viewability measurement? I’m assuming that the minutes of streaming for both FB & YT is inclusive of all video.. which isn’t what advertisers care about. Or is this study just taking FB video ads and YT pre-roll into consideration? Also, FB doesn’t have unskippable pre-roll as an ad format – would this not reduce numbers. Not on FB’s side – I think that they have been getting away with too much for too long! But trying to understand more. Thanks! But this isn’t ads, clients aren’t charged on content streams or this planning data so not quite sure what the fuss is particularly as this seems to be an old story. Do the tv guys understand how digi works? 2. It was Google who complained. I reckon they know how digi works. We have entered the realm of parody. … So here’s media agency perspective. TL;DR, please stop publishing things too quick… or dare I ask, are you trying to sell at the moment? 1. Facebook / Nielsen not doing the job right to ‘third party’ measure such elements as streaming is indeed important. 2. Will this Turbo charge debate? No, if anything this will just highlight the difficulty of third party just ‘hopping on’ a propriety platform like Facebook to do independent verification properly. 3. For Facebook, raw monthly streaming number doesn’t matter when it comes to the volume of ‘paid media investment’ as much as say, viewability. Seriously, all you needed was calling couple media agency folks to source comments. Smeh. Haha, KK is this your prepared statement for when clients ask you to justify the over investment into Facebook? Streaming numbers are down 94%, viewability is in the single digits. As others have said, if this had been any other publisher heads would be rolling right now. And don’t blame Nielsen here, these proprietary platforms make it extremely difficult to allow for independent verification. Haha Ricky Bobby, I am so glad you asked. Viewability (and FB Consumption behaviour) is THE issue FB has, and no sane media person should be defending that. SMI trend data Mumbrella used reflects this, no? Even the P&G GMO objectively highlighted the technical and lawful (privacy for one) difficulty of having 3party verification enabled. So objectively educate yourself and ask the question again. Facebook built their own DIALECT of programming language to run its platform. It’s open source, but require outsider engineers to get acquainted with before being able to accurately do things with. It’s not as simply as creating a Facebook app. If that’s way over your head – consider an Iranian walking into a Scottish pub and try to all of sudden be completely like the white bloke watching Celtics play. Yeah, not so easy right? So again, objectively – Nielsen figure of streaming data is now lower by 94%. YES, important. Does that hinder my ad performance? No, but viewability sure does. So yes, let’s treat Facebook to the same standard when it’s about performance of ads we run for our advertisers. Not for the fact that there is a very complex technical challenge fo third party to handle. Or are you just mad at them because you are supposed to? That anybody might question why such an enormous difference in reported vs actual media views might even be an issue, is quite staggering and must surely have been from the keyboard of either an ignoramus or someone with vested interest in glossing over the revelations. Trust in business is crucial in greasing the wheels of commerce. Accuracy of data is critical in media negotiations to the establishment of scale, interpretation of demand, pricing analysis and investment allocation. It is indeed a measure of Facebook’s power and influence that the industry is not apoplectic over the enormity of this misreporting. Good news, this decline in audience is recoverable. 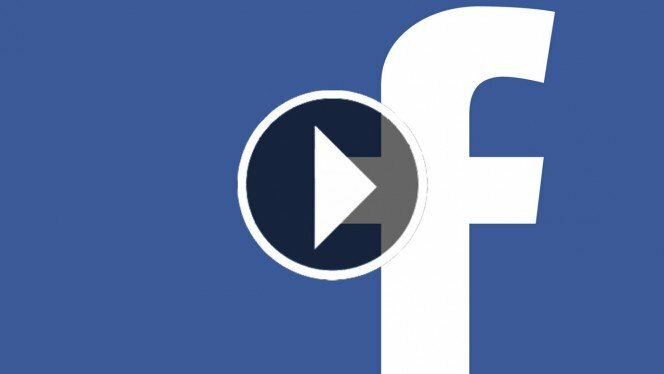 Facebook’s video streaming audience can be increased again simply by making it legal for Facebook users to stream sporting events, concerts, Free to air TV, Foxtel, Netflix and Stan via Facebook to their friends. Should caveat that your perspective is only one of an individual who works at a media agency. Here’s mine – these measurement issues are damaging both for Facebook and the companies that have recommended them to marketers. The big q for me – how come no one at fb ever corrected these figures? Surely they knew how out they were. If we in media agencies think this is a “nothing to see here” moment we have really lost the plot. I agree with you on all front. It’s my own perspective, and yes this is extremely damaging for Facebook. Point media folks can hopefully agree is that viewability is far more important issue than streaming figure for Facebook when it comes to the ad performance. Also like article mentioned, decline in streaming figure was fully expected too. Simon I’m so lost – how do Neilson now record Facebook streams? and how does that compare to Youtube? Article says that in the past Nielsen were only counting views of 3s or more as a ‘stream’, but that they’re now counting all ‘streams; not just 3s or more. In which case how would that lead to a lower count, now that you’re tracking all streams, surely the number would have to be higher!? The only way this makes sense is if for some reason ‘progressive’ means buffer and for technical reasons Nielsen were counting views as when the buffer hit 3s not the actual playing of the content. Same here. Headline is shocking, but article makes no sense. To fully understand, we need to know exactly how it was measured before and now. Is the writer of the article even checking the comments? I have been awaiting further response from Nielsen. In the meantime, the video over-reporting by Facebook last year was a separate issue, but Nielsen’s numbers in this case are understood to have been the result of a change in the way they were measuring videos after Facebook changed from a single stream to delivering videos in packets (for want of a better phrase). Nielsen is understood to have counted each of these packets as individual video streams and was reporting this to the market in its Digital Media Landscape report. As noted in the story by Nielsen a fix for this was applied in October, but many in the industry I spoke to were unaware of the original over-reporting and the reasons for the inflated figures. It only makes sense if the move from “progressive/packets” to single stream IS the solution and not the problem Nielsen have faced. I can’t find anything about this method of delivering videos by FB, however if the Nielsen fix was to start counting this multitude of videos as single views, than a 94% reduction (or some sort of reduction) starts to make sense. Progressive Load of videos, loads one file for the whole video, which mean one network request, one video URL, one thing to count in a log file. Adaptive Bitrate Streaming or HLS, loads many separate files for the whole video, it is loaded in segments (which could be around 2-10 second segment lengths depending on FBs configuration choice), which means many network requests, many video URLs, and extra care needed in counting since these many log events for one video loaded need to be condensed into one count. Since FB doesn’t allow client side measurement and this is about videos streamed, not viewable impressions, it seems Neilson were counting raw server logs on video loads (which aren’t valid impressions or viewable impressions) but failed to take into account that many video url loads seen in a log file in an Adaptive Bitrate Streaming scenario were actually just one video being loaded. My question would be…. was it always broken since day one when Nielsen started counting/publishing this data? Or was the counting methodology originally correct, and at some point FB switched from Progressive Loading of video to Adaptive Bitrate Streaming of video without telling Nielsen and ensuring the change had no impact on measurement. Either is embarrassing, if the counting methodology was wrong from day one then both companies are to blame since they should have ensured their counts aligned and the numbers made sense while integrating. However, if the later is true it puts more of the blame on FB and perfectly highlights why counting publisher provided data is never going to be trustworthy since an independent measurer doesn’t have visibility or control over the changes the publisher makes to its systems and how such changes might affect measurement accuracy (intentionally or unintentionally). Can Mumbrella provide any inforamtion on the criteria that is involved with Nielsens new measurment? Some recent posters have just about worked it out. Are these numbers meant to be AU or global?